† Discomfort means an uncomfortable sensation not described as pain. 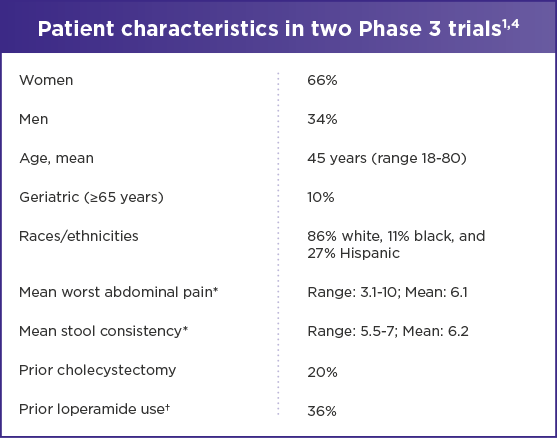 In pathophysiology research and clinical trials, a pain/discomfort frequency of at least 2 days a week during screening evaluation is recommended for subject eligibility. ‡ In the absence of use of antidiarrheals or laxatives. § Measured over the week prior to randomization. 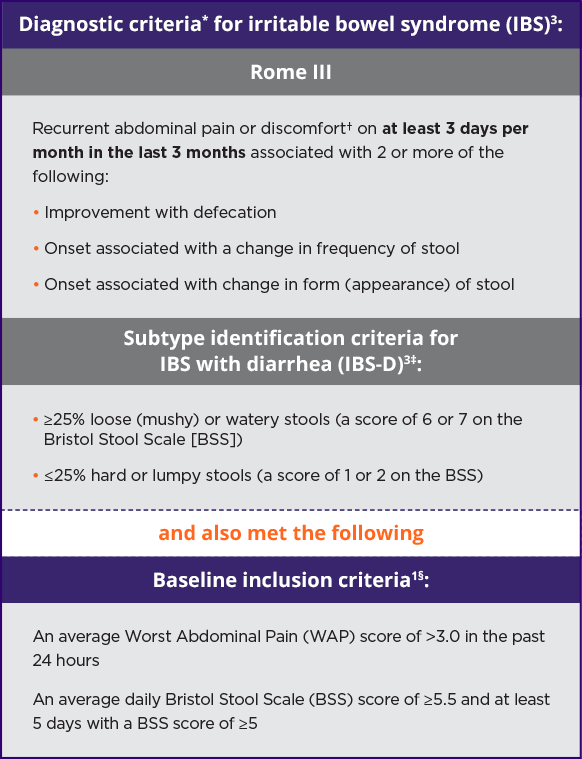 BSS = Bristol Stool Score; WAP = Worst Abdominal Pain. || P<0.01. 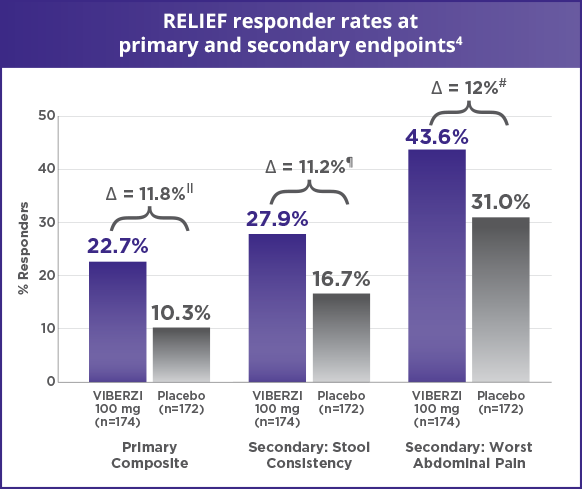 Primary Composite=patients who meet daily composite response criteria on ≥50% of days, defined as ≥40% improvement in WAP compared with BL and BSS <5 OR the absence of a BM if accompanied by ≥40% improvement in WAP. ¶ P<0.05. 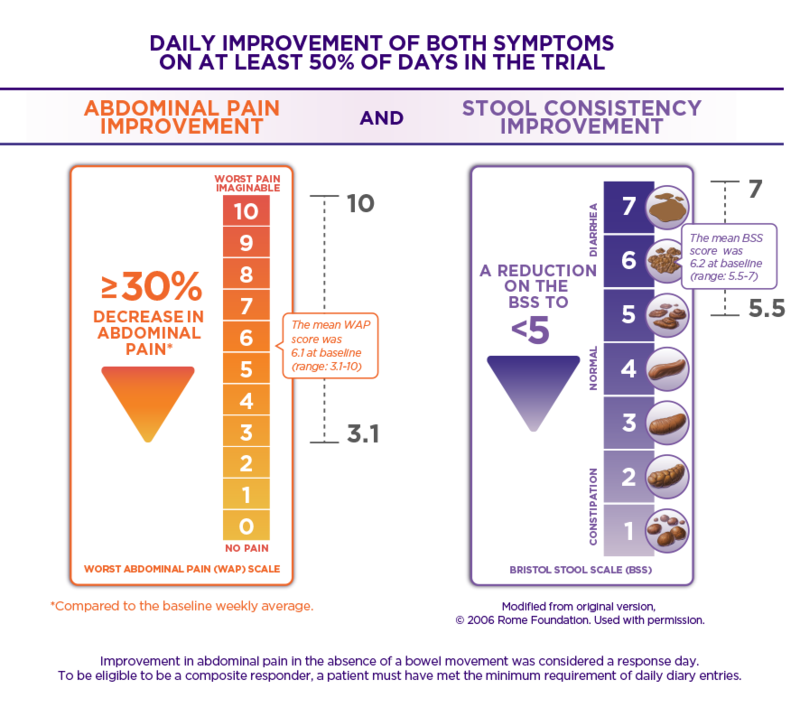 Secondary Stool Consistency = BSS lgt;5 on ≥50% of days. 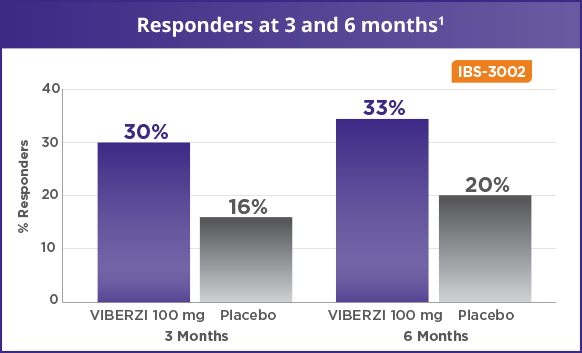 *Includes patients receiving VIBERZI 100 mg and placebo. 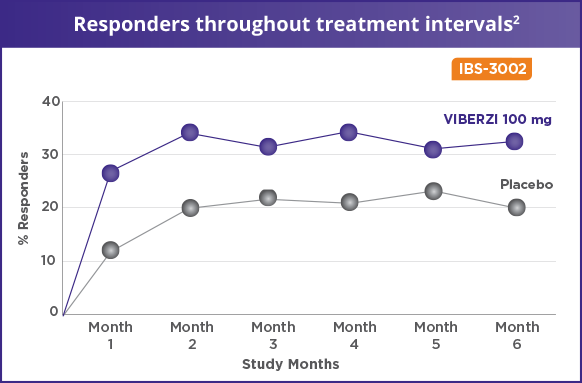 †Loperamide use in the year prior to study enrollment to treat IBS symptoms. 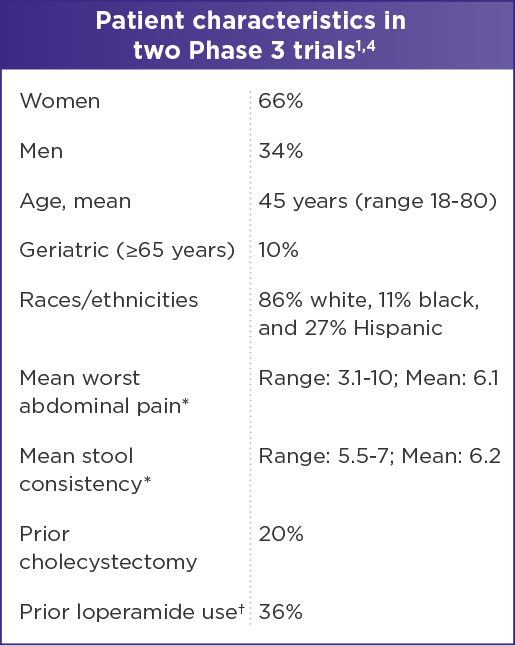 *The performance of a colonoscopy in patients over the age of 50 is recommended regardless of alarm symptoms.